Salman Khan finalizes Ek Tha Tiger’s Sequel – ‘Tiger Zinda Hai’? 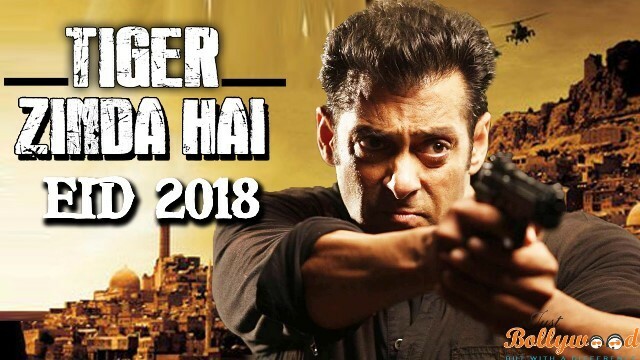 The latest release from Salman Khan under the banner of Yash Raj Films had a massive business crossing the 300 crore in the local market, while the movie has been closing to 600 crore in the global market. Now, it seems that the production house is gearing up for the next film release. Now, he would be seen in the next film called Tubelight, which is likely to hit the floors soon. As per reports, the 2012 film of Salman Khan called Ek Tha Tiger will now have its sequel, which was the directed by Kabir Khan but the sequel would be now dealt with the Sultan fame director Ali Abbas Zafar. As both the directors have agreed on this without coming out with any kind of difference on the same, so the sequel would have a smooth sale for sure. Now talking about the sequel, it is named as Tiger Zinda Hai. Aditya Chopra would jotting down the script and as said Ali Abbas Zafar would be jotting down the screenplay and dialogues. However, an official confirmation is still to come about the same. Kangana’s Don’t Let her Go , was First Clean and Green India….